Make the competition jelly in the jellyfish inspired Arena Underwater Men’s Mid Jammer in Black and Plum! This jet black mid length jammer features a wild band running down either side in an explosion of ink and jellyfish in vibrant shades of tangerine, lime, lemon, grape, and green apple. More than just a jammin’ look, the Arena Underwater Men’s Mid Jammer in Black and Plum has been made with your needs in mind! Created to combat the wear and tear of serious training, these amazing jammers can keep up with you through endless swim training sessions. With a powerful resistance to chlorine, shape retention, and UV protection, these jammers have it all. Underwater Mens Mid Jammers is manufactured by Arena Swimwear, the Official Swimwear & Equipment Partner to Swimming Australia and the Australian Dolphins Swim Team. For over 35 years Arena has equipped the world’s leading swimmers and lovers of watersports with racing, training, and leisure swimwear and accessories built on a foundation of in-depth research, technical know-how, and an unyielding commitment to quality. 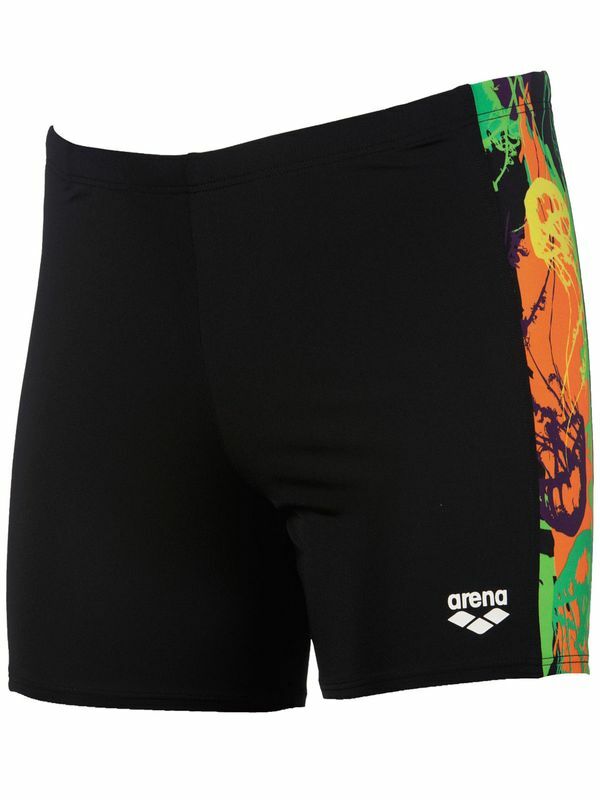 Arena is the authentic waterwear brand for athletes and real sport lovers. Wherever there are water sports, there is Arena.